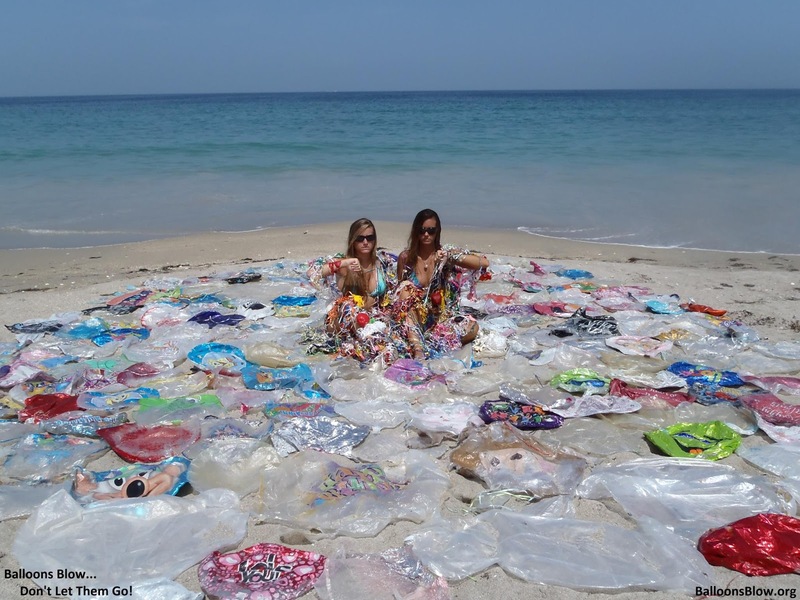 WHY DO WHALES EAT PLASTIC? We have been bombarded lately with news that the stomachs of the sperm whales recently beached in the North Sea were full of plastic. It happens quite often. The question is why? It's important because if we understand why whales eat plastic before they beach, then we will know the answer to the centuries-old mystery of whale whales mass strand. Hint #2: Healthy sperm whales feed on giant squids that live a few thousand meters deep, not on the surface. There are no giant squids in the North Sea so why did the sperm whales enter this shallow body of water? Might the answer be that their biosonar has failed? Hint #3: If a sperm whale suffered an accident that disabled its biosonar system, it would be as lost at sea as a blind man tossed overboard. It would also be unable to dive and feed itself. Furthermore, because water is 832 times denser that air, drag forces (resistance to the flow) would turn lost sperm whales around and point them headfirst in a downstream direction. They would continue to swim downstream with the flow as they slowly starved. They would also become more and more dehydrated because all their fresh water comes from the squid and fish they eat. 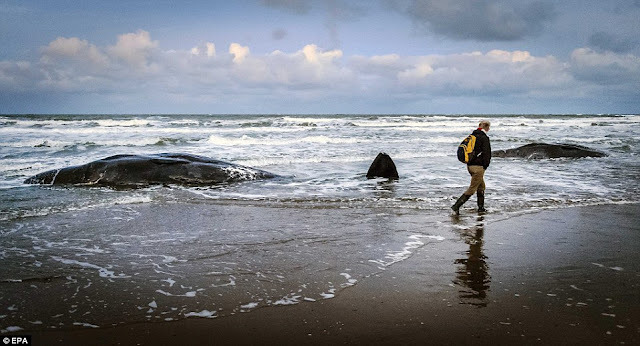 Moreover, the downstream current that is guiding the lost whales just happens to be the same energy that deposits grains of sand to build and maintain beaches so the odds are extremely high that lost whales traveling downstream with the flow will eventually be guided to sand. Hint #4: One of the major symptoms of dehydration is failing eyesight. The eyes actually shrink when they lose water. This means that when a whale is not feeding due to a biosonar malfunction, it becomes super dehydrated and may even drink salt water, which causes them to become even more dehydrated. Severe dehydrations can lead to delirium, seizures, heart attack, and permanent brain damage. Hint #5: About 1,500 catastrophic undersea upheavals occur annually in the backyard of whales and dolphins. Moderate seismic events can release the energy equivalent of the nuclear bomb dropped on Hiroshima during World War II. Undersea upheavals cause the seabed to dance about violently, pushing and pulling at the bottom of the water column, generating intense waves of changing pressures that could easily rupture one of the many cranial airspaces in the massive heads of deep-diving whales. In fact, a single seafloor upheaval could easily cause sinuses to rupture and thereby disable the echo-navigation and echolocation system of an entire pod of nearby sperm whales. Such an injury is called sinus barotrauma, the most common injury in human divers. Sadly, whale scientists are not allowed to study sinus barotrauma in diving whales because the US Navy and the oil industry, who fund 97% of all whale research worldwide, do not want the public to know anything about pressure-related sinus injuries in the most prolific deep-diving mammals the world has ever known (link). The reason is because their sonar and air guns cause the exact same sinus barotrauma as caused by natural undersea disturbances. Admit the danger of the natural seafloor upheavals and you admit the danger of military sonar and air guns. Whale scientists that tell the public about sinus barotrauma in diving whales would never get another penny of bribe money and they know it! Hint #6: Plastic floats on the surface. It twist and moves with the waves somewhat similar to a squid or wounded fish. The seismically-injured, starving, dehydrated whales with failing eyesight would think the plastic was food. There's a lot more to why whales eat plastic but to understand it, I need to take you back to a time before man ever stepped foot on Earth. All the way back 55 million years ago when canine-looking animals started feeding in near shore waters. The first dolphins had cranial sinuses and a fantastic sense of smell. As they adapted to the marine environment and started to develop a biosonar system, evolution made use of the air chambers in their heads. In water, sound waves bounce off air pockets like light waves bounce off mirrors. Natural selection liked this phenomenon so it remodeled the canine sinuses, using the air to reflect, channel, and focus returning echo clicks. Evolution also positioned a mixture of air and foam-filled sacs between the two cochleas to isolate them from each other. This was done because hearing in full stereo was the first step of a working biosonar system. The early dolphins (odontoceti) were so successful after about 30 million years that the near shore water became too crowded. To solve the population explosion, many species migrated to deeper offshore waters. Their acoustic sinuses worked fantastically and they became the most prolific deep-diving breath-holding mammals on Earth. But no matter how fantastic they were as deep divers, they faced one gigantic danger. Nine out of every ten earthquakes and volcanic explosions that occurred on our planet happen along the volcanic spreading centers known as mid-ocean ridges, and along the subduction zones near the drop-off edge of the continents. In other words, whales must deal with nine times more seismic upheavals in their backyard than in ours. Squids, their favorite food, have no air pockets so the rapid and often excessive changes in water pressure did not affect them in the least. On the other hand, the now massive cranial air spaces that odontoceti had evolved to enable their biosonar system were extremely vulnerable to the series of alternating pressures generated when the rocky seafloor suddenly started bouncing up and down. What was natural selection gonna do now? It had already thinned the sinus walls to give them plenty of stretch and flexibility. It had given deep-diving odontoceti a means to detect precursory signals from strong seismic events. But there was still a lot of moderate upheavals that erupted suddenly without detectable precursors. Sinus barotrauma was sure to occur if a potent eruption between ~4.7 and 6 magnitude caught a pod by surprise while they were down deep on a feeding dive. They also had to content with whale-dangerous pressure changes generated by meteorites slamming into the surface of the oceans. Evolution is not a force that thinks about things. Evolution is a lot of accidental genetic mutations that help or hinder survival. 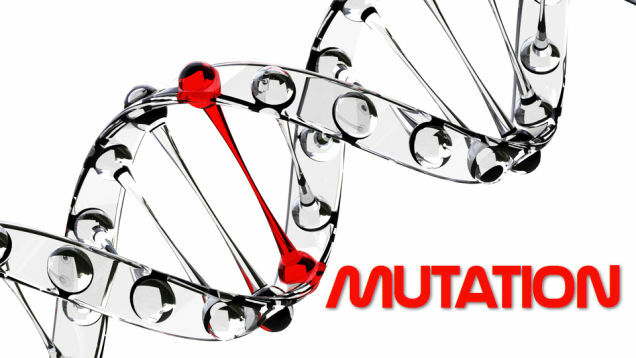 If genes mutate and the species starts dying off, these genes eventually disappear from the gene pool. On the other hand, if genes mutate in such a fashion to ensure a longer life, then more of these genes get passed along and the species lives longer. As things turned out for deep-diving odontoceti, the only genetic mutation that could keep undersea earthquakes, volcanic explosions, and meteorites crashing into the sea from wiping them off the face of the earth were those mutations that helped them recover from pressure-related sinus injuries (barotrauma). Said differently, natural selection could not prevent sinus barotrauma and still allow the whales to grow fat feasting on the squids, but genetic mutations that help the injured recover would flourish and be passed along to the next generation. Afterall, sinus barotrauma is the most common diving injury in humans so there is no reason to think the most prolific divers on earth would be immune, especially since shock waves above earthquakes have been known to reach 100,000 pounds per square inch (link). The US Navy even told us back in 1964 that seaquakes sink ships and kill marine life (link). In fact, there is so much evidence indicating that undersea seismic upheavals have been causing whale mass beachings for many millions of years. But reading all this evidence would take years. What I will give you is a web page listing the supportive evidence so you can pick whatever interest you and read until you are as convinced that sinus barotrauma not only destroys their ability to echo-navigate and echolocate their food, it also prevents them from diving to the depth of their prey. 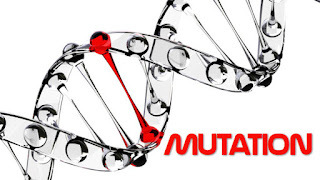 Genetic mutations prevent injury from major (6 to 9 mag.) seismic events by providing the whales with a means to detect precursory signals in advance of the main shock. But many dangerous moderate events (4.7 to 6 mag.) occur without detectable warnings. These are the ones that catch the diving whales by surprise and cause sinus barotrauma, which eventually leads to a mass stranding. This does not mean the whales have not evolved other means of surviving enormous changes in diving pressures. In addition to detecting big quakes, there are likely hundreds of genetic mutations that help them recover from their pressure-related injuries. As an example, pelagic odontoceti have a thick layer of blubber from which they could extract nourishment and water. But if they digested their wetsuit, they would quickly die of hypothermia. These whales store fat in their bones and between their internal organs. Genetic mutations allow them to ingest this internal fat; not their thermal protection. This is why they look so healthy on the beach. Gene mutations could also drive pod behavior that would assist the biosonar-disabled whales in catching a meal every so often to keep up their immunity and prevent dehydration. For example, pods injured by rapid and excess pressure waves during a seismic seafloor upheavals, and the occasional meteorite crashing into the water's surface, know to surface and huddle togeather in a tight group to prevent shark attacks. This cohesive behavior is an evolved strategy to protect selfish individuals, not their pod mates and not because they love each other too much. Each whale knows its chance of being ripped apart by a shark is far less when they stay with the group. That's why it's hard to separate them. None of them want to be first to move out alone because they know that a lone whale will be the next one devoured. Seismic pod injuries have happened millions of times in the 30 million years since pelagic odontoceti left coastal waters. A particular pod might have suffered five or six such accidents during its long history. This means that the older members of the pod might have experienced two or three such disasters and learned decades ago from their senior pod members the tricks of survival. In other words, the senior pod members learned pass-along survival strategies that date back millions of years and they still use the same strategies today. The pod would group together in a tight circle somewhat like herds of animals do on the African plain when being attacked by lions. It was important to protect the older animals because they knew where to find grass and water in times of drought. These seniors also knew other survival tactics to help the herd survive so they younger herd members had to be protected them for the good of each individual in the herd. This is why the elders always end up in the middle of the circle when predators are attacking. The memory bank must survive otherwise the life of each individual is in great danger. This is called "Selfish Herd Behavior." Each selfish individual does whatever is necessary to save its own life even if it means ensuring the safety of certain individuals. It is a total fallacy to think that whales love each so much that they would die to save a fellow pod member. Rather, self-preservation is what ensures the survival of an organism. The strong desire to live and pass on its own genes is due to a genetic mutation that helps both the individual and the species survive. The Selfish Herd Theory guides that more dominant animals within the population move into low-risk central positions, whereas, subordinate animals will be forced into higher risk positions. This concept works a little different in a pod of injured whales. Sharks sense right away that the pod is in trouble. They also know that there is a lot of fight left in them so they don't go charging in. The hungry sharks take up a position ~50 meters downstream from the swimming pod using the smell and taste of urine, feces, blood and bodily fluids to follow them day and night in good weather and in rough. They wait until a wounded whale falls behind and then they gang up and devour it. The difference for a whale pod is that the senior pod members (the pod's memory bank) do not move to the central position; they take a much safer position about 25 meters in front of the pod. If you looked at this formation from the air, you would see one or two seniors in front of the rest of the pod. You'd also see the pod huddled tightly together being followed by maybe a hundred sharks of all sizes. Pod leaders out front of the group has been witnessed many times in history and is the source of the false concept that pods following a sick leader to the beach because of deep love and devotion. The truth is that the one or two in front are just as lost as the ones following. They have to be careful not to swim too far out in front; they keep a distance that allows the rest of the non-navigation pod to follow close behind. Sometimes a vicious storm separates them into 3 or 4 leaderless groups, giving the sharks a better chance to feast. If the pod stays together, the senior members can help them all survive. Maybe I should say, the senior members were able to help them several hundred years ago, but these old survival tactics that worked for 30 million years don't work anymore. Here's why: Not so long ago, the oceans were teeming with large schools of surface fish. All the senior members had to do was spyhop and look for birds diving into the water. The diving birds signaled that a large school of small fish was near the surface. Keeping their eyes fixed on the birds gave them the visual target they needed to swim towards the school. They could then lead their non-navigating pod to a major source of food a foot or so below the surface. All the whales had to do then was ease down, open their big mouths, and catch a meal. They would use their eyes to swim around in the school until they got enough nourishment and fresh water to last them until they encountered another school of small fish or squid a few days later. They'd swim from surface school to surface school until maybe 3-4 weeks later when their sinuses started to heal and they could dive deeper. Eventually, they recovered from the seismic injury. All they needed to do then was find a new feeding ground. Is this fashion, seismic upheavals spread the species around the world. These events were evolutionary advantages and not destructive since seismic upheavals also prevented overpopulation of a prime deep-water feeding area. There were so many schools of pelagic odontoceti that the real danger was overgrazing on the squid breeding stock. Said differently, the destructive forces of Mother Nature were evolutionary advantages until modern humans arrived on the scene. Sadly, things are much different now. The massive fishing nets that fishermen drag through every inch of the world's oceans has stripped the low hanging fruit. The injured whales need to be extremely lucky to catch a life-saving meal in today's oceans. This explains why more and more pods are stranding, and the number of individuals in each pod is dropping. We will be saying goodbye to pelagic odontoceti in another 20 years since it is highly doubtful that most countries will curtail their net fishing industries just to save the whales. This is also the main reason why we support captive breeding programs and aquariums that display these marvelous animals to the public. Billions of kids all around the world need to fall in love with marine mammals. Dolphin shows and public displays can create a burning desire in our youngster to save our oceans. If sea mammals had a choice, they would gladly devote their lives to this task. Living in the wild is not living free when you consider how fast man is destroying the marine environment. Plastic in the stomachs of beached whales is only the tip of the iceberg. Dec 06: why did pilot whales beached in the everglades? Copyright 1972 thru 2016: This material is the copyrighted intellectual creation of Capt. David W. Williams, and registered with the Writer's Guild of America—Reg. No: 10608118. The reproduction and use of any part or all of this intellectual creation in any form, including film, is strictly prohibited. In particular, no part of these web pages may be distributed or copied for any commercial purpose. No part of this intellectual property may be reproduced on or transmitted to or stored in any other website, or in any other form of electronic retrieval system or used in any film or book; however, you may link to this website without permission. Reference this web page as the source when quoting. Send email request for any other use.